Can God create a stone that cannot be lifted? If God can create such a stone, then He is not all powerful, since He Himself cannot lift it. On the other hand, if He cannot create a stone that cannot be lifted, then He is not all powerful, since He cannot create the unliftable stone. Either way, God is not all powerful. God’s omnipotence means power to do all that is intrinsically possible, not to do the intrinsically impossible. You may attribute miracles to Him, but not nonsense. This is no limit to His power. 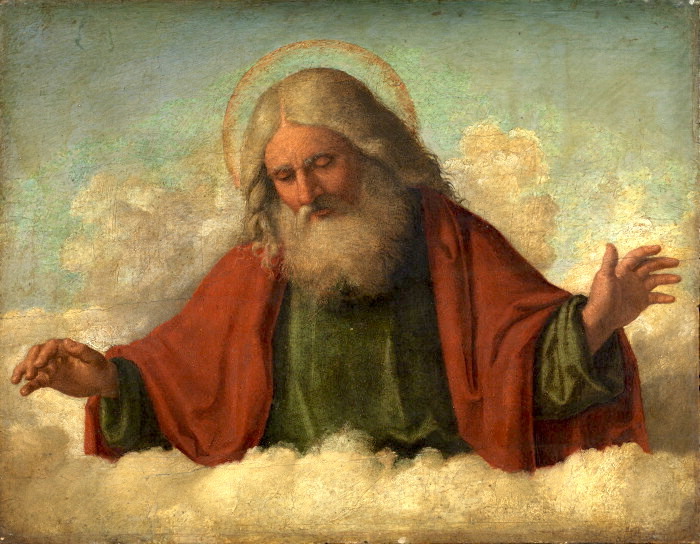 If you choose to say, ‘God can give a creature free will and at the same time withhold free will from it,’ you have not succeeded in saying anything about God: meaningless combinations of words do not suddenly acquire meaning simply because we prefix to them the two other words, ‘God can’ … Nonsense remains nonsense even when we talk it about God. Lewis’ position is the position the Bible itself takes when speaking of God. Logically, there are some things Scripture says God cannot do – not because He lacks power, but simply because to pose even their possibility is to traffic in utter nonsense. The apostle Paul, for instance, writes, “If we are faithless, God remains faithful, for He cannot disown Himself” (2 Timothy 2:13). In other words, God cannot not be God. He also cannot create liftable unliftable stones – again, not because He lacks power, but because liftable unliftable stones aren’t about exercising power over some theoretical state of nature. They’re about the law of noncontradiction. And to try to break the law of noncontradiction doesn’t mean you have unlimited power. It just means you’re incoherent and incompetent. And God is neither. To insist that God use His power to perform senseless and silly acts so that we may be properly impressed seems to be worthy of the kind of rebuke Jesus once gave to the religious leaders who demanded from Him a powerful sign: “A wicked and adulterous generation asks for a sign” (Matthew 12:39)! Ultimately, the omnipotence paradox strips God’s power of any purpose by demanding a brute cracking of an irrational and useless quandary. And to have power without purpose only results in disaster. For instance, uncontrolled explosions are powerful, but they are also, paradoxically, powerless, because they cannot exercise any ordered power over their chaotic power. Omnipotence requires that there is power over uncontrolled power that directs and contains it toward generative ends. This is how God’s power is classically conceived. Just look at the creation story. God’s power needs purpose to be omnipotence, which is precisely what God’s power has, and precisely what the omnipotence paradox does not care to address. Can God create a world in which evil does not exist? This does appear to be logically possible. Presumably God could have created such a world without contradiction. It evidently would be a world very different from the one we currently inhabit, but a possible world all the same. Indeed, if God is morally perfect, it is difficult to see why He wouldn’t have created such a world. So why didn’t He? According to the Bible, God did create a world where evil did not exist. It was called Eden. And God will re-create a world where evil will not exist. It will be called the New Jerusalem. As for the evil that Adam and Eve brought into the world, this much is sure: God is more than up to the task of dealing with the evil that they, and we, have welcomed. He has conquered and is conquering it in Christ. With this being said, a common objection remains: Why did and does God allow evil to remain in this time – in our time? Or, to take the objection back to evil’s initial entry into creation: Why would God allow for the possibility of evil by putting a tree in the center of Eden if He knew Adam and Eve were going to eat from it and bring sin into the world? This objection, however, misses the true locus of evil. The true locus of evil was not the tree. It was Adam and Eve, who wanted to usurp God’s authority. They were tempted not by a tree, but by a futile aspiration: “You can be like God, knowing good and evil” (Genesis 3:5). If Adam and Eve wouldn’t have had a tree around to use to try to usurp God’s prerogative, they almost assuredly would have tried to use something else. The tree was only an incidental means for them to indulge the evil pride they harbored in their hearts. If God wanted to create a world where evil most assuredly would never exist, then, He would have had to create a world without us. Thus, I’m not quite sure what there’s to object to here. The story of evil’s entrance into creation doesn’t sound like the story of a feckless God who can’t get things right. It sounds like the story of a loving God who willingly sacrifices to make right the things He already knows we will get wrong even before He puts us here. God decides from eternity that we are worth His Son’s suffering. If God knows all there is to know, then He knows at least as much as we know. But if He knows what we know, then this would appear to detract from His perfection. Why? This is the weakest of Mr. Atterton’s three objections. One can have knowledge without experience. I know about murder even though I have never taken a knife or gun to someone. God can know about lust and envy even if He has not lusted and envied. The preacher of Hebrews explains well how God can know sin and yet not commit sin as he describes Jesus’ struggles under temptation: “We do not have a high priest who is unable to empathize with our weaknesses, but we have one who has been tempted in every way, just as we are – yet He did not sin” (Hebrews 4:15). Jesus was confronted with every sinful temptation, so He knows what sin is, but He also refused to swim to sin’s siren songs. The difference, then, is not in what He knows and we know. The difference is in how He responds to what He knows and how we respond to what we know. One additional point is in order. Though I believe Mr. Atterton’s assertion that one cannot know certain things “unless one has experienced them” is questionable, it can nevertheless be addressed on its own terms by Christianity. On the cross, Christians believe that every sin was laid upon Christ, who thereby became sin for us. In other words, Christ, on the cross, became the chief of sinners, suffering the penalty that every sinner deserved, while, in exchange, giving us the righteous life that only He could live (see 2 Corinthians 5:21). In this way, then, Christ has experienced every sin on the cross because He has borne every sin on the cross. Thus, even according to Mr. Atterton’s own rules for knowing, in Christ, God can know everything through Christ, including every sin. I should conclude with a confession about a hunch. I am a little suspicious whether or not this 1,140-word opinion piece in The New York Times decrying faith in God as illogical was written in, ahem, good faith. This piece and its arguments feel a little too meandering and scattershot and seem a little too clickbait-y to be serious. Nevertheless, this is a piece that has gained a lot of traction and talk. I’m not sure that the traction and talk, rather than the arguments, weren’t the point. Whatever the case, Theism has certainly seen more compelling and interesting interlocutions than this piece. God, blessedly, is still safely on His throne. Entry filed under: Current Trends, Uncategorized. Tags: Apologetics, Atheism, Faith, God, Logic, New York Times, Peter Atterton, Reason, Revelation, San Diego State, Theism. Thank you for linking to the article. It was very helpful.